Do you want to start practicing magic? Not sure where to begin? Want a collection of spells that can transform and enhance your life? The world of magic is full of immeasurable potential. There are literally thousands of spells in existence, for every purpose you could possibly imagine. In this book from best-selling author Lisa Chamberlain, you will find spells and other magical workings that, when applied with focused intention, can bring positive experiences into your life. Divided into four general categories, they are suitable for Witches of all experience levels, without calling for extravagant or hard-to-find ingredients. Each spell contains explicit instructions, but there are also opportunities to personalize the work as you see fit, using your own intuition and style. With the variety of magical opportunities for enhancing the most important areas of life, there’s something for everyone in this book! Since time immemorial, hopeful lovers have tried spells and potions of all sorts in order to bring them their one true love. In this book you’ll find spells for attracting romantic love into your life, but also workings related to friendship and family relationships, which are equally important sources of love in a balanced life. Witches know that we can attract money from unforeseen places into our lives through the use of focused intention, and you’ll find spellwork here for doing just that. But cash is not the only form of abundance—opportunities for growing future wealth are also important, as are an abundance of friends, pleasurable activities, and healthy options for nourishing our bodies. To that end, you’ll find spells for increasing business success, abundance in the garden, and even a spell for landing an important job, in addition to money-specific workings. Although it can be difficult to maintain a healthy and positive state of well-being in our fast-paced world, it’s relatively easy to balance your own personal energy through spellwork that promotes motivation and endurance. In this section you’ll find a range of approaches to reducing stress and increasing your access to the reservoir of positive energy available to you in your daily life. The energy of your environment is also crucial to your quality of life, so you’ll find a few protection spells to enhance your physical and social environments and keep out unwanted energy. 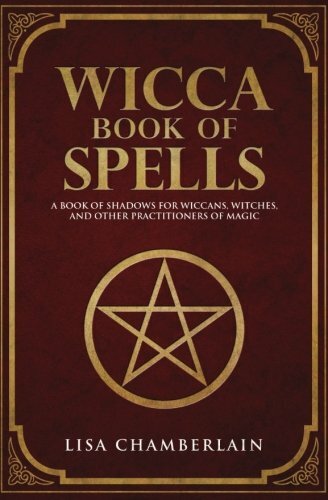 Just as important as spells themselves is a working knowledge of the vast array of magical forms and techniques This section provides a brief introduction to various approaches to magic, including kitchen witchery, making your own spell ingredients, and using timing and the rhythms of the natural world to your advantage. There are also some miscellaneous spells focused around tools sourced directly from nature, new ways to request information from the Universe, recipes for creating your own oil blends, and a set of magical workings based on the Moon’s cycles. The most successful magic is focused, personal, and yes—fun! Enjoy trying out these spells and other workings, and if you wish, let them be a springboard of inspiration for expanding and refining your own magical practice. Take note of your results in your own personal Book of Shadows, and don’t forget to honor your successes with love and gratitude!